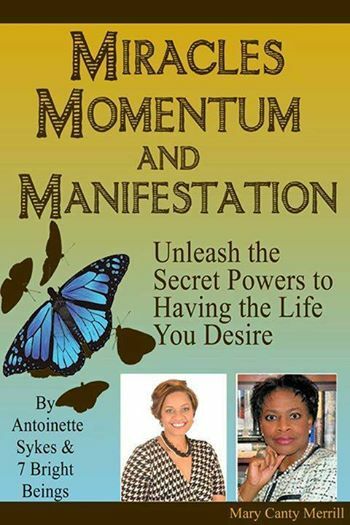 I’m pleased to announce that my latest book, “Miracles, Momentum and Manifestation: Breakdown to Breakthrough” successfully launched on October 29th and has reached the Top 20 (#12) among Amazon’s Hot New Releases in the Self-Help Self-Esteem Category! In this powerful Anthology, eight women courageously share our stories of triumph over some of life’s most debilitating circumstances. Yes, miracles still happen for those who believe! A special shout-out to Jaqulyn Rene, CEO of Black Women Empowered, Inc. for this wonderful opportunity! 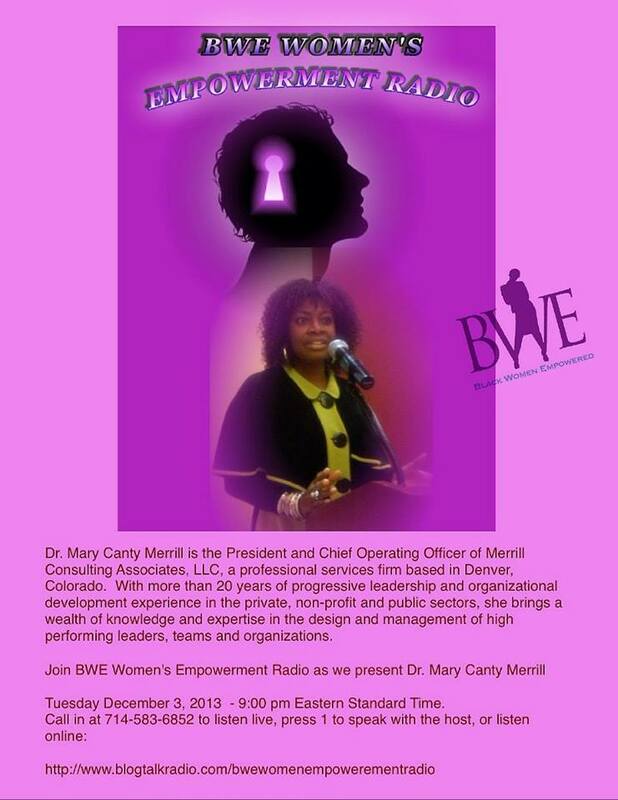 We invite you to tune in and join us for a captivating dialogue for ALL women on Tuesday, December 3, 2013 at 9:00PM ET. Hope to see you there! When approaching communications, we generally bring our hidden values, assumptions and intentions to bear. These covert elements influence our behaviors and lead to personality and cultural clashes before we’re aware what’s happening. As a result, we miss golden opportunities for collective learning and shared understanding. Dialogue is a powerful tool for understanding our thoughts, actions and interactions. By building bridges, instead of chasms, dialogue enhances our awareness of the world as we strive to make sense of our relationships, organizations, communities and our lives. The word dialogue derives from two Greek roots: dia logos, which means “through meaning.” Dialogue is about creating meaning that connects us all at the core level of humanity through mutual respect, shared destiny, constructive action and goodwill. Unlike discussion and debate, dialogue is non-confrontational and emphasizes deep listening to promote understanding. Our usual communication processes emphasize individualism and winning, whereas dialogue emphasizes learning and connectedness. Dialogue encourages discovery and mutual understanding by inviting us to share our personal stories, express our interests and perspectives, and clarify our viewpoints. Having insight into another’s fears, challenges, limitations and successes creates a deeper sense of common ground and belonging than our usual interactions will allow. The art of dialogue teaches us what it means to create together and enhances relational bonds. It is a fundamentally deeper form of communication that builds mutual trust and respect. Through dialogue, we can surface underlying assumptions that hinder our progress. Without mutual knowledge, there is no mutual understanding. 1. Create space. Clearly establish your purpose and objectives for the dialogue session. Define the problem or issue that you want to explore. Create a welcoming space and safe environment and communicate to everyone what it means to participate. To expand awareness, create community and reach shared understanding, participants should maintain a spirit of openness, integrity, curiosity and empathy. Participation is shared, so there is no leader, but a facilitator. Maintain a flexible agenda by being responsive to emerging needs. Define key questions. Do not rush to action, but “sit” with the process to allow hidden conflicts to surface, as well as any creative alternatives that may not be readily apparent. Two things to keep in mind: (1) dialogue requires group introspection, which can be exhausting, so know when it’s time to bring closure; and (2) every situation is different, so your process for dialogue should be adapted accordingly. 2. Listen actively. Trust is built when we take the time to listen to others. As we become more skillful listeners, we are better able to understand how we perceive our environment. To listen actively is to listen with all of your senses — not just your ears — for deeper meaning and understanding. Active listening means intentionally focusing on the speaker by empathizing and giving them space to express their views; setting aside your opinions and prejudices and suspending judgment to gain a different perspective; being aware of non-verbal and verbal messages; and checking for understanding by restating, summarizing and asking questions about what you think you heard. 3. Communicate your assumptions. Our beliefs influence the selected data that we pay attention to. Therefore, it’s important to share with others our internal frames of reference, so they know what we envision as truth or reality. Take ownership for your thoughts, beliefs and assumptions by letting others know what you think and feel and how you arrived at certain conclusions. Sharing your mental models and reasoning process not only enhances self-awareness, but promotes accountability, authenticity and mutual understanding. 4. Appreciate diverse perspectives. None of us holds the whole truth. We all hold a piece of the collective puzzle we are trying to solve. Dialogue assumes that there is not one but many right answers, so it frees us from our own social conditioning and exposes us to new experiences. Embrace and leverage multiple perspectives to expand your access to a wider variety of experiences and improve your ability to gain diverse insights, reach consensus and achieve more extraordinary results. 5. Be curious. There is transformative power in questions. Asking the right questions at the right time can change the direction of our lives. So engage in collective inquiry to surface new information and new realities. Ask a series of questions such as, What do we want to do, have, be or get that is different? What would it mean for us to create change on this issue? What is stopping us from obtaining what we want? What can we do together to achieve a different outcome? When faced with problems or issues, asking questions helps us to compare points of view, uncover relevant themes and patterns and gain deeper insights. Questioning also helps us to identify more creative strategies for addressing those problems or issues. Dialogue expands our capacity to learn from and with one another. While the process takes time, its powerful effects can lead to personal and social transformation. In its deepest sense, dialogue inspires hope and confidence by restoring us back to our shared humanity. Commit to a higher level of growth and evolution by harnessing collective intelligence to chart new direction, uncover new opportunities and surface new meaning and understanding. The path to reconciliation is never straightforward, as human relationships are complex and ever-changing. Creative engagement generates positive change, learning and growth. The next time you find yourself embroiled in conflict, recall these principles to help defuse the situation and facilitate your connectedness with others. 1. Give up blame. Blaming others exacerbates, rather than solves problems. Recognize and appreciate at all times that you alone are responsible for your interpretations and reactions to external situations. 2. Embrace choice. The truth is messy, raw and uncomfortable, but you always have a choice regarding your reactions to any situation. Alternatives are before you, so choose wisely. 3. Try a different approach. If your coping strategies prove ineffective, don’t be afraid to try different approaches. Then take a step back, and note their impact. 4. Seek to understand. Ask probing questions, and in addition to your five senses, listen with your heart. Slow down and be fully present to promote deeper understanding. You do not have to agree with another’s perspective, but it is important that you understand it. 5. Change yourself. You can’t change other people, but you can change yourself. Look inward and modify your own beliefs, attitudes and behaviors. Relationship and interdependence lie at the heart of successfully bridging conflict. Your reactions can mean the difference between perpetuating strife or constructing more peaceful outcomes. How many times have you been involved in a conflict situation and said something that you later regretted? Or attempted to avoid the situation altogether, or adopted a passive-aggressive approach only to find yourself plagued by a lingering feeling of unfinished business? While we each deal with conflict in our own way, this highly charged word presents an opportunity for growth, development and social change. Conflict is not inherently bad, but a natural outcome of multiple realities, diverse frames of reference and contrasting stories. We often assume that we share a single reality with others. When that doesn’t happen, we are suddenly suspended in confusion which prompts us to search for shared meaning and understanding. At a surface level, conflict stems from a threat to our fundamental needs such as a sense of meaning, self-efficacy, safety, control and recognition. But at a microscopic level, we find conflict deeply rooted in the perception of limited power, recognition and resources whereby the aim is to neutralize or eliminate opposing forces. Conflict transformation is a holistic process of engaging with conflict. It differs from conflict management and conflict resolution approaches in that its goal is to use the potential destructive energy of a disagreement (competitiveness, aggressiveness or violence) to transform it into a more constructive process. Rather than perceiving conflict as a threat to be resisted, the transformative approach views it as a natural part of the human experience to be embraced. Instead of focusing on the surface levels of disputes, conflict transformation encourages us to develop creative change processes through less visible aspects of volatile situations. To transform conflict, you must reframe your perceptions and approaches to disharmony. This means choosing what the event means to you, actively deciding how you will be impacted by it and where you will focus your attention to see things in a more positive light. The following strategies can help you reframe your thoughts about and approaches to conflict. Address issues early. Confront issues before they spiral out of control. Avoiding an issue doesn’t make it disappear, but induces stress, increases miscommunication, reduces collaboration and problem solving capacity and leads to mistrust. Once you’ve sat with your feelings and determined what you want, assert yourself by expressing your sentiment. Perfection is not necessary, since your intention is not to manipulate, take down or even the score with the other party. Your goal is to share your needs and desires in a way that does not undermine the relationship or your self-respect. Engage at a deeper level. Engaging with others is a first step in understanding diverse values, beliefs and perspectives. Deeply listening to other perspectives through thoughtful dialogue is a humbling experience in that it forces you out of your self-justifications with an openness to the possibility of discovery and reconciliation. Dialogue differs from discussion and debate which both involve — to some extent — advancing a position, making a point or striving to win. Honest dialogue involves the heart, mind and body. The mind produces creative ideas that can be generated through thoughtful discourse; the heart contains emotional memories and deeply held attitudes and core values that need to be addressed; and the body stores unpleasant experiences in its cells. In order for reconciliation to be complete, there must be a positive effect resulting from engagement at each of these three levels. Separate people from problems. Making people the problem keeps you stuck and increases the risk of destroying relationships, which can lead to deeper problems. Focus your attention on the issue and not the person. Demonstrate curiosity by asking probing questions: “What are the reasons behind this person’s position?” “What are their real intentions?” “What might I learn from their position?” “How might we work together to produce more creative solutions to meet both our needs?” This deepens your understanding of what the conflict is really about, helps you gain perspective by focusing on interests (win/win) instead of positions (win/lose), and allows you to better discern the other party’s intentions. This strengthens relationships and facilitates forward movement. Assume self-responsibility. While you may think you’re an ‘expert’ in uncovering the faults of others, blaming and judging is a double-edge sword. It puts others on the defensive and exacerbates the situation. Assuming full responsibility for self allows you to stop and acknowledge how your own feelings of fear and powerlessness may be contributing to the situation. Self-responsibility paves the way to grasp how you might be limiting your effectiveness by getting in your own way. It helps you face the realities about yourself and places you in an empowering position to make more thoughtful decisions and choose more constructive approaches.